Added on September 11, 2013 by Daniel Kuney. Think of the 5C as the Air, and the 5S as the Pro. And I think that’s spot on. If you are a high end user and you require a state of the art processor to run complicated games and apps, you’ll gladly invest in the iPhone 5s. Whereas the iPhone 5c is perfectly fine for those who just want to surf the web, check email and play casual games. I just hope that Apple won’t apply this same logic to the iPad and iPad Mini refresh, rumored for next month. Currently, the iPad Mini is running the two year old A5 processor, the slowest processor in Apple’s current lineup for iOS devices. The problem is that I am an iPad Mini owner and a high end user, and I don’t think of the iPad Mini as the “scaled down” version of the iPad just because it’s smaller. Just the opposite. I think of the iPad Mini as the high end iPad because it’s smaller. Accordingly, the refreshed iPad Mini shouldn’t be treated like the iPhone 5c to this year’s refreshed iPad. If Apple does upgrade the full sized iPad to the A7 processor but keeps the iPad Mini at a slower processor (let’s say the A6X), they risk sending contradictory messages to those of us on the high end of the market. 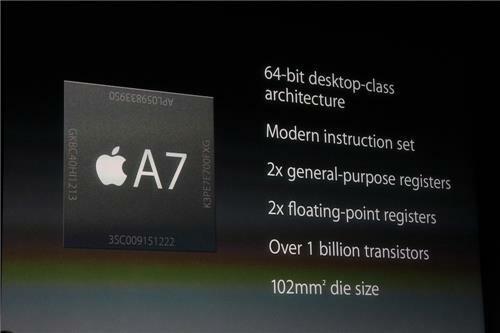 That is, they want us to upgrade to the A7 chip because our power apps will run faster and more smoothly. But we should settle for slower performance when we run those same apps on our preferred iPad. So while it makes sense for Apple to market the iPhone 5c as the MacBook Air of iPhones, and the iPhone 5s as the MacBook Pro, the same thinking doesn’t seem to make sense for those of us who feel the iPad Mini is the pro iPad.